A "new" trailer promoting the film's IMAX release has appeared online. I say "new" since most of it is just the second trailer with a few new shots sprinkled about, including more of the opening with Kala and baby Tarzan. 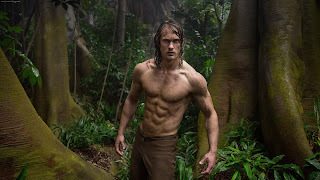 Take a look and leave your comments below and stay tuned as I prepare for Tarzan month! WSJ: How 'Legend of Tarzan' Got "Modernized"